Family man “The only ambition I ever had was to make a better living for my two kids,” says Rick Aleman, CEO of Selrico Services, one of the world’s major military-service food providers. Selrico Services’ name says it all. In 1989, when CEO Rick Aleman left Aramark, a large food corporation, to launch his new company, he merged his children’s names (Selena and Richard) to create the new moniker. “The only ambition I ever had was to make a better living for my two kids,” he says. 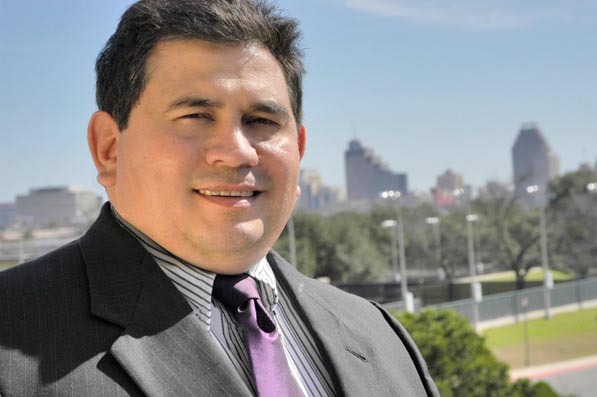 The trajectory of Selrico Services, Inc., a 1,000-employee food, housing, and waste-management company, has been determined largely by the family work ethic that Aleman grew up with in San Antonio, where his company is now based. From an office right next to San Pedro Park, the second-oldest park in the nation, Aleman looks back on the keys to Selrico’s success. From a small company struggling to get loans and find work in its own hometown, Selrico has evolved into one of the world’s major military-service food providers, earning a revenue of $60 million and operating on four continents. Feeding the US Armed Forces turned out to be Selrico’s niche service, and soon, Aleman found himself traveling across Eurasia, from Kazakhstan and Uzbekistan to Pakistan and Iraq. His company has even serviced the Bob Hope Dining Facility in Baghdad, where President George W. Bush hosted the troops on Thanksgiving Day in 2003. It was largest dining facility in Baghdad. Selrico’s largest-ever contract came in 2007, when it signed on to provide food- service support to the Jordan International Police Training Center in Amman, Jordan, where it upgraded kitchen facilities, procured enormous amounts of food and potable water, and kept on eye on health and sanitation risks. “I never thought that cooking hamburgers at a golf course when I was 13 would take me all over the world,” Aleman marvels. But a steadfast commitment to the food industry, and to entrepreneurship, was instilled in Aleman at a young age. Growing up in Texas, he watched his parents make their living in the food industry, providing for their nine children through his father’s job at the local butcher shop. After a quality Catholic education—something his father prioritized throughout his childhood—Aleman graduated from St. Mary University in 1973. He eventually joined the military, and later started his first business: Rick’s Mini-Links, a miniature-golf course. “I was fresh out of college, and thought I could set the world on fire,” he says. Though the miniature-golf venture didn’t pan out, it did steer Aleman into the food-service industry in 1981, and eventually into restaurant ownership. A couple of years after opening Arthur’s Table, located in Louisiana, he was able to sell it at a profit and move back home to work for his brothers’ business. Somehow, he says, San Antonio was always home, and he’s made it a point to keep Selrico based in his hometown ever since. Eventually, craving new opportunity, he took off on his own to start Selrico, but says he never forgot what he had learned from his family. “My brothers had a very good food-service company, and I wanted to emulate them,” he says. “It was easy for me to have role models.” Sometimes, in a family business, that’s all it takes.